This infographic will show you 10 simple, but not easy Everyday Ways to Build Mental Toughness. Mental Toughness means performing our best when it matters the most and it means how we cope, deal, and handle the adversity. Some of these action steps will come easier to you than others, but our mental toughness will grow every day the more often we utilize these challenges. Check out our page of how to build mental toughness. Dr. 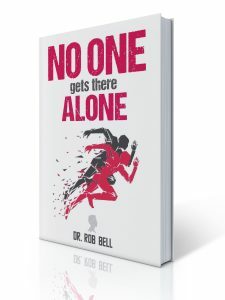 Rob Bell is a Sport Psychology Coach. His company DRB & associates is based in Indianapolis. Some clients have included: University of Notre Dame, Marriott, and Walgreens. Check out the most recent books on Mental Strength.